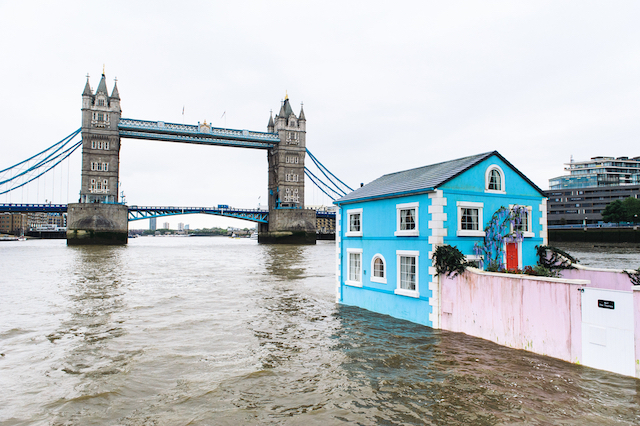 There's A House Floating On The Thames! Sponsor There's A House Floating On The Thames! This is a sponsored article on behalf of Airbnb. 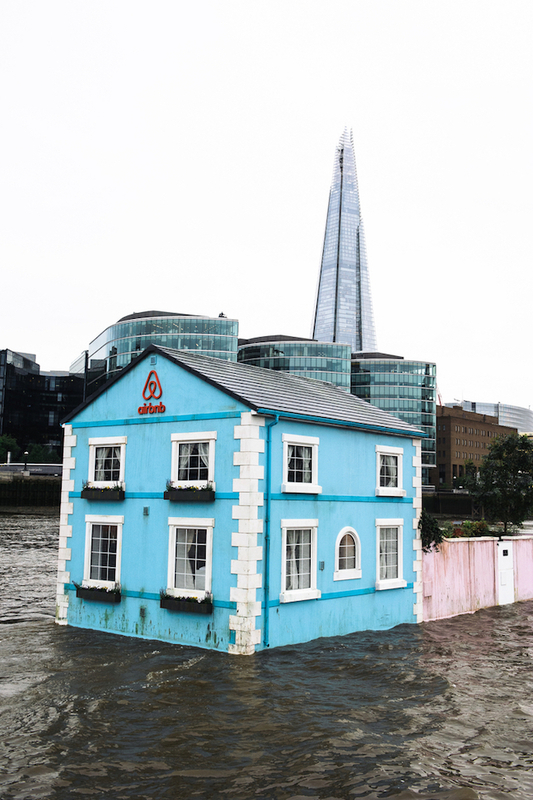 Airbnb's fully functioning floating house arrived on the River Thames this morning. Copyright: © Mikael Buck / Airbnb. Airbnb's floating house visits the London Eye. 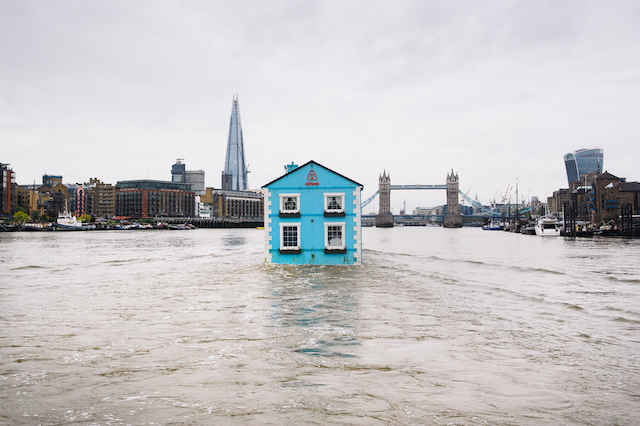 ThamesCopyright: © Mikael Buck / Airbnb. Floating beneath Millennium Bridge. Copyright: © Mikael Buck / Airbnb. ... past the Shard. Copyright: © Mikael Buck / Airbnb. It's even got a garden! Copyright: © Mikael Buck / Airbnb. 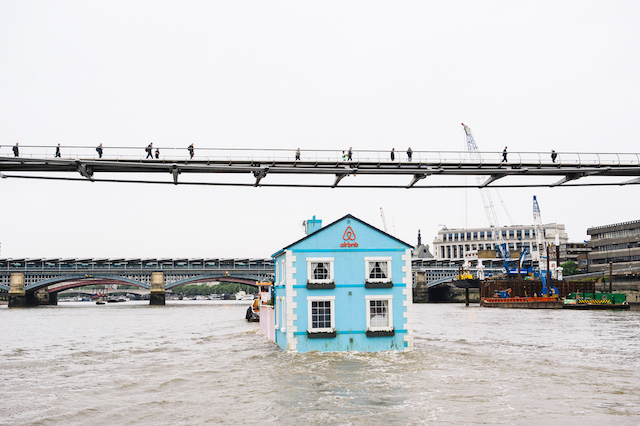 Watch out for AIrbnb's floating house on the Thames all this week. Copyright: © Mikael Buck / Airbnb. What the heck is it doing there? 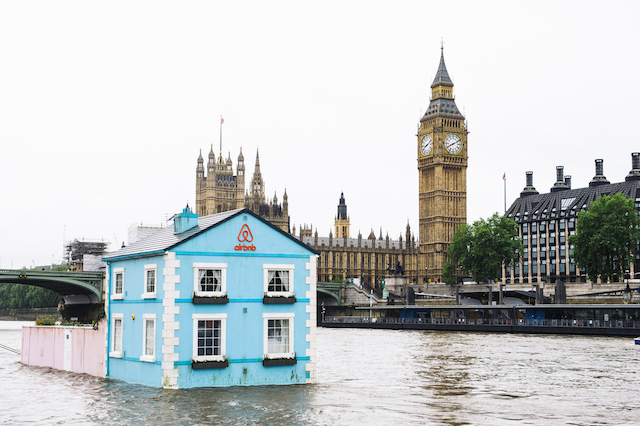 Airbnb's Floating House is on its maiden voyage on the Thames, celebrating the relaxation of rules around home sharing and short term renting. Thanks to government reforms earlier in the year Londoners - and the rest of the UK - can now share their homes with travellers for up to 90 days a year. Is it a real house? Yes. It has two bedrooms, a living room, working bathroom and garden complete with real grass, a doghouse and an apple tree and will be floating up and down the Thames this week, crossing from Westminster to the Isle of Dogs, Greenwich, Chelsea and Putney and no doubt surprising Londoners and visitors wherever it goes. Special guests will be staying each night, experiencing London like a local yet also enjoying spectacular views of the capital from the river. Fancy a night on board? On 22 May, one lucky competition winner and their three guests will get to stay in it overnight, hosted by a member of the Airbnb community. They will not only enjoy a night afloat on the Thames but be pampered by spa treatments from on-demand app PRIV, and nourished with a private dining experience with food personally prepared by Robert Ortiz, head chef of Peruvian and Michelin-starred restaurant Lima and Lima Floral. 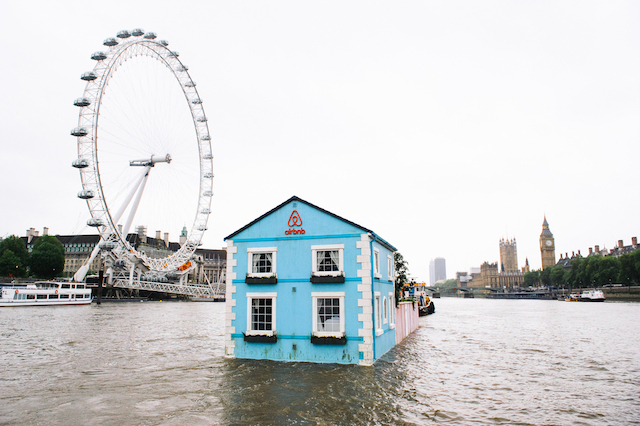 To win the chance to stay on board the Airbnb Floating House on Friday 22 May enter at https://www.airbnb.com/night-at/floating-house by midnight on Wednesday 20 May. Good luck!